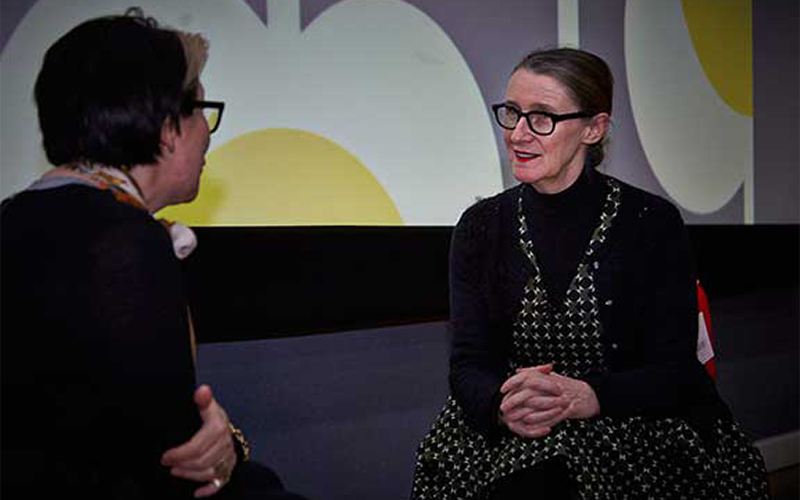 As part of ‘Fashion 360°’, NUA hosted a Q&A with international designer Orla Kiely OBE. Orla talked to students about her creative practice, influences and how she built her global brand. Orla also gave students an exclusive sneak preview of pieces from her new Autumn 2016 collection. Orla continued to support NUA when she returned for our Graduation in June to be awarded an Honorary Doctorate.